SCD Group: Should associations use faux research to advocate a cause? Should associations use faux research to advocate a cause? I started my career as a news reporter. I’ve spent the better part of the last 35 years working with the news media. And I’ve been involved in market research and polling for more than half of those years. It continues to amaze me on how “gullible” the news media is to faux research reports produced by advocacy groups. In a front page story headlined Work Here? Can’t Afford to Live Here, our local paper (the News-Press) ran a story based on “research” from the Center for Housing Policy’s 2013 Paycheck to Paycheck study. People employed in 57 percent of jobs studied cannot afford to rent an average two-bedroom apartment in the county, according to the national Center for Housing Policy’s 2013 Paycheck to Paycheck study. Forty-three percent cannot afford to buy a mid-priced home. The news media craves for research and polling information. It makes an easy story. I remember listening to the USA Today research director at an ASAE membership marketing conference years ago. She pointed out that readers liked their “factoid” boxes (with research studies) more than photos. As the Center for Housing Policy illustrates, organizations can use research to generate news that supports the positions they advocate. 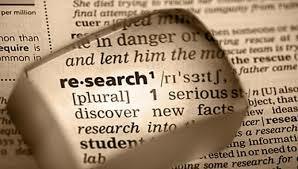 Polls and research studies can generate publicity for your profession or industry. See Wednesday's USA Today which prominently used polling data from two associations in its story on job growth in small businesses. My professional ethics tells me the research should be intellectually honest. As should the sample used, the questions asked and the analysis of the results. This is especially important if your association is using the results to help determine strategies or policies.